469 p., 2 Lesebändchen, 12,7 x 17,8 cm. Commentary and introduction by Jiři Beneš. 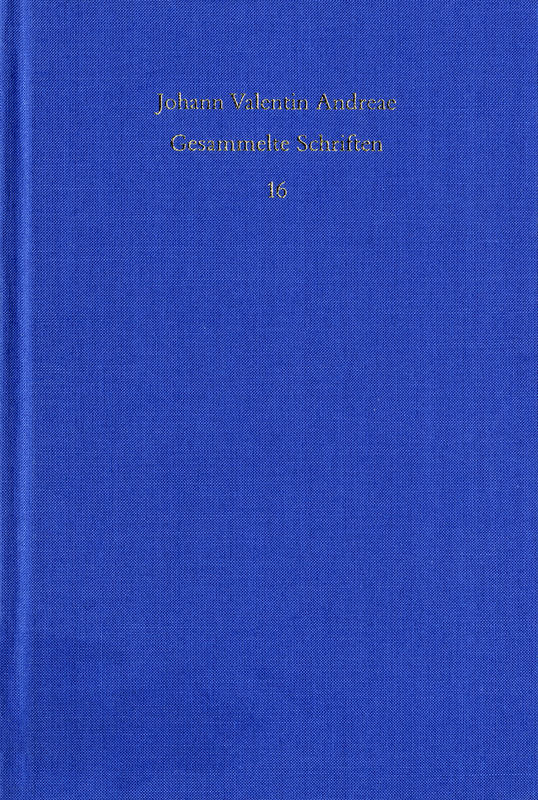 Translated by Frank Böhling and Viktor Friedrich Oehler. This is the first complete text-critical edition and translation of the ›Theophilus‹. The introduction provides information on Andreae’s relationship to Comenius, among other things. The dialogue reveals a comprehensive political, religious and educational reform program. It was written in 1622 with youthful and optimistic verve, was a harsh attack on church administration of piety and on the other hand defended Johann Arndts theology of an inner piety. For this reason permission to have the work printed was refused to begin with. Andreae’s manuscript was lost in the Calw fire. Comenius provided his copy for the first printing in 1649. This volume is the best modern edition of the ›Theophilus‹, an essential text for anybody concerned with the history of Reformation [...] The concise but useful introduction and the elegant and precise translation provides an easy access to the text even for non-experts. Böhlings Übersetzung [ist] eine bahnbrechende Tat [...], denn eine neuzeitliche Übersetzung dieser Werke hat bisher gefehlt. Außerdem hat der Übersetzer hervorragend die schwierige Aufgabe gemeistert, die eine adäquate Vermittlung der besonderen konzisen bis abrupten, aber doch bildhaften Sprache des Originals darstellt. Die Übersetzung ist leserfreundlich und genau. We are much indebted to Professor Schmidt-Biggemann and his colleagues. When complete, Andreae’s Gesammelte Schriften will be yet another monument to German scholarship.